Grading a hike is very subjective due to the many intangible variables – individual fitness, health, age and external factors like weather, terrain, level of porter support etc. What is hard for one may be easy for others. We would rather chat over a cup of coffee to share our hiking experience than to rely on an arbitrary scale. However for your reference, we have come out with a basic framework to give you an idea of the difficulty level and experience needed for each hike. In order to obtain a more objective classification, we have mainly used quantifiable factors like distance, elevation gained and maximum altitude reached in our assessment. Nevertheless the grades used should be best described as comparative. 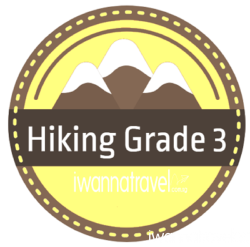 Take note that within each grade, there will be harder or easier hikes. Means “Great first Experience”. No previous experience is needed. Easy trails are usually of short hiking distances (<10km), small altitude gains (< 400m) and over low latitudes (not above 2500m where altitude sickness can be a problem). Be expected to be on the trail for up 3 hours with some short rests along the way. E.g. 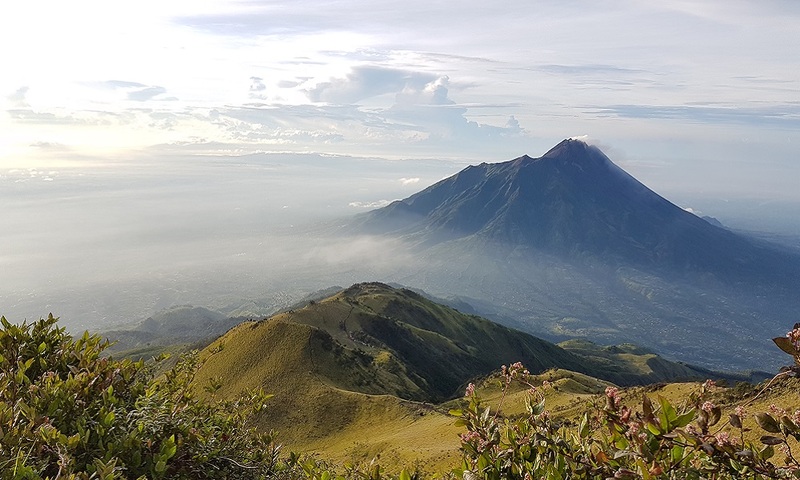 Hikes in Singapore, Mount Arong, and Mount Bromo. 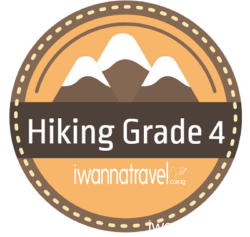 Exception: We have classified Pelepah Falls, Gua Maloi and Bukit Tabur hikes as Grade two hikes due to their more challenging slippery river terrains (for the formers) and narrow ledge terrains (for the latter). Means “Some previous experience preferable”. This experience does not have to be international. 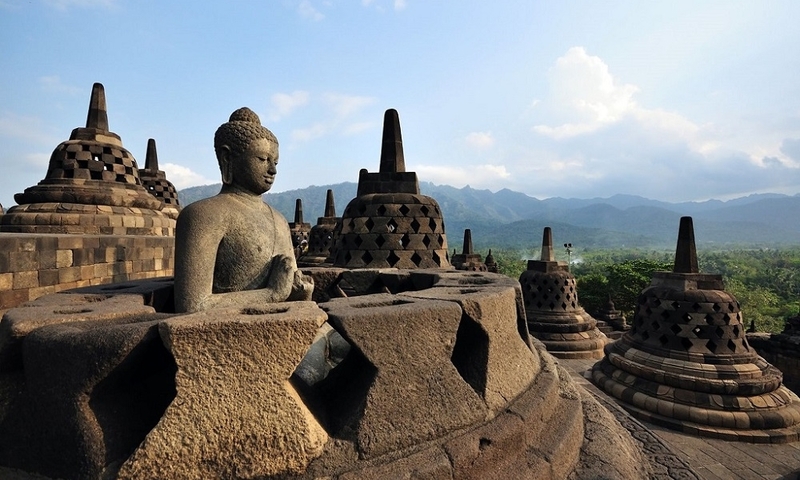 Experience hiking in Singapore can be regarded as possessing previous experience as well. Moderate trails are usually of moderate hiking distances (<15km) and moderate altitude gains (<1000m). They are usually of low altitudes though some may be found at altitudes above 2500m (e.g. Ijen Crater hike). Be expected to be on the trail for up to 6 hours with some short rests along the way. E.g. Mount Lambak, Mount Panti, Mount Datuk. Means “Experience needed”. Demanding trails are trails which can break you down physically and mentally if you do not train for it priorly (especially if you are not accustomed to exercise). Demanding trails are either of long hiking distances (>15km) or of substantial altitude gains (>1000m) or both. It can be a full day hike, an overnight hike or a two-to-three days hike over relatively high altitudes (above 2500m where altitude sickness can be a problem). Be expected to be on the trail for 6-8 hours or more per day. Due to the longer time and/or higher altitude on the trail, substantial preparation (apparel, camping equipment etc.) for climatic conditions or bad weather is a critical necessity. E.g. Mount Ophir, Mount Belumut, Mount Fanispan, Mount Rinjani, Yushan, Xueshan. Means “Basic hiking skills and experience must be at a good standard”. At grade four, you are expected to operate at a high standard and fitness level as soon as you step on the trail. Example being on our Goechala hike where you have to hike for 8 continuous days covering up to 10-15 km per day with significant altitude gain (>2000m) in a remote and wild environment. A good number of days may also be spent at high altitude of above 4000m in snowy conditions (with or without crampons on). Be expected to endure extreme temperature variations from hot to cold for prolonged period. In short this is not something you should try without at least 1-2 years of adequate hiking experience. E.g. Inca Trail, Kilimanjoro, Goechala, ABC, EBC. Means “Advanced hiking skills and experience are essential”. 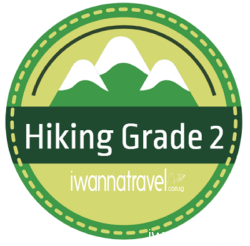 These hikes require technical skills (glacier travel, snow and ice climbing, belaying etc.) and usage of specialized equipment (ice ace, anchors, ropes etc.) 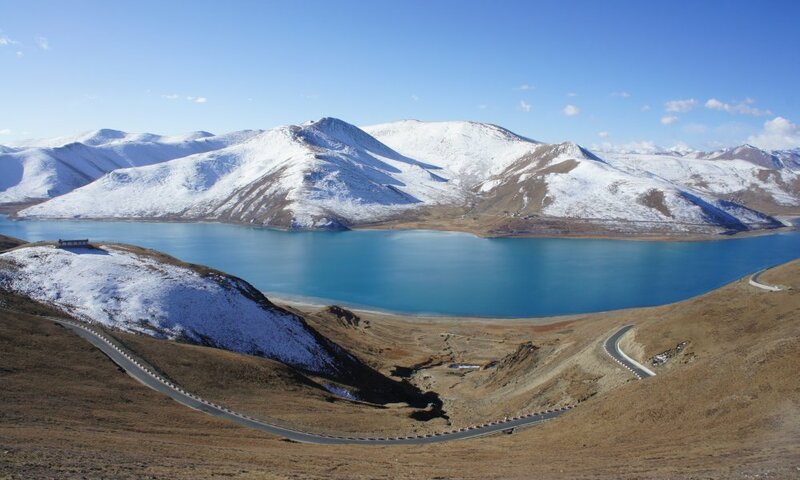 in a very high altitude environment (>5000m) and in very extreme weather conditions below subzero. A CV of previous high altitude experience is usually required for attempting such trails. Eg: Mera Peak, Island Peak, etc.